The Great Smoky Mountains National Park area in East Tennessee is one of the most visited tourist sites in America. Every year, millions of local residents and visitors from across the country and around the world drive our highways and roads to appreciate the natural beauty of the surroundings. Should I Go To The Hospital Even If I Feel Okay? Even if you feel fine, you may have sustained internal injuries or your external injuries may be more severe than you realize. The charges for the hospital visit and treatments may be covered under your insurance policy. You will want to have a doctor advise you of any injuries before you settle your accident claim. If you were in a car accident and had passengers in the vehicle, they should seek medical attention as well. What Monetary Recovery Am I Able To Pursue? If your injury prevents you from taking care of your home and you must hire someone to do so, or if you must pay to travel to hospital appointments, you can claim these expenses. How Do I Deal With Insurance Adjusters? An insurance company often asks you to make a recorded statement with one of their insurance adjusters. Do not agree to a statement without first contacting a personal injury lawyer. Adjusters can influence what you say in order to insulate their company from liability, limiting your claims. Why Would An Adjuster Call Me? An adjuster typical calls claiming to be conducting a preliminary investigation. Their goal is to find out what happened, and then they will often offer you a settlement. This initial offer might be lower than what you deserve. What Kind Of Documentation Should I Keep Regarding My Injuries And Health? Start a journal to document the issues that you have faced as a result of your accident, including your activities on the day of the accident, the accident itself, the injuries that you sustained (no matter how minor), the medical treatment that you receive, the medications that you are prescribed, your physical and mental state each day, and any activities in which you were unable to participate or in which you had difficulty participating. A photograph can make all the difference when fighting for justice and pursuing compensation. If you are able, you should take pictures of the scene of the accident. Photograph your injuries, and continue to document the progression of your injuries through pictures. If you are able to use a time stamp in your photos, it would be recommended. If in an automobile crash, photograph damage to your vehicle, the injuries you sustained, and the weather, road or lighting conditions that could have contributed to your accident. Call a lawyer. Critical evidence can be lost or destroyed in the days and weeks after an accident. The sooner you call, the better we can protect you. Do not say or sign anything without an attorney present. Your statements are likely to be misconstrued and used against you in court. Report your accident to police, property owners and insurance. Exchange contact information with other drivers and eyewitnesses. Take note of any statements made by other parties. Go to the hospital or your family physician. Do not wash or throw away the clothes you were wearing on the day of the accident. Preserve your outerwear, sneakers and accessories in plastic bags. Your clothing may contain residual evidence that could prove crucial to your case. If a defective product caused your injury, do not return the item to the manufacturer, where it can be lost or misplaced. Keep the product that caused the injury, the accessories, the box, the instruction manual and the purchase receipt. Document your out-of-pocket costs, including mileage to medical appointments. Save your medical receipts and document your lost wages. A judge is more likely to award you damages if he or she sees exact amounts of the expenses you have incurred. Keep track of your medical treatment. Document your injuries and the impact your injury has made on your life. Injured in an accident while visiting from out of town? Let us serve as your legal counsel to help you recover the full and fair monetary damages to which you are entitled. 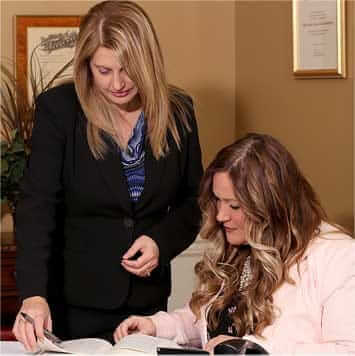 From offices in Sevierville, our attorneys advise and represent clients in communities throughout the Knoxville area and East Tennessee, and those from other areas needing legal representation in East Tennessee. We also represent those from outside the area who have a need for legal services in East Tennessee. Clients know that they can count on our firm being here to serve them for the long term, as we have been doing for over 50 years. Call us at 865-453-2866 or use our convenient email contact form to schedule a free initial consultation with one of our experienced Sevierville personal injury lawyers. Our office hours are from 8:30 a.m. to 5 p.m. weekdays. Evening and weekend appointments are available by special arrangement. Free parking is available. If your personal injury will not allow you to travel to us, we may arrange to meet at your home, office or hospital room. We handle all personal injury claims on a contingency fee basis. You will not pay attorneys’ fees if we do not help you obtain monetary damages.